Kamfari is amongst the most gruelling motorcycle endurance events on this planet. The Kamfari is run annually in the tropical north of Australia just outside the Northern Territory's capital city, Darwin during the last months of the monsoon season. 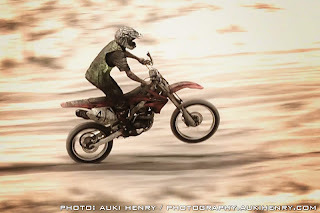 Racers come from around Australia and overseas to compete in this extreme event that ultimately tests the mettle of the riders who not only have to compete against each other, but also have to endure the steamy tropical conditions and unpredictable elements. Assistance is not allowed by rule from anyone except maybe other riders. The notion of pit crews is non-existent as riders need to be able to carry everything they need for themselves and their bikes to survive. The HighRPM team sent a crew to film the exclusive DVD for Universal Magazines celebrating the official 40th year of this great race, here is the shortened highlights video from that footage.